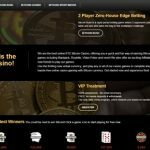 BitcoinRush.io features the best duo of Bitcoin casino and sportsbook on an intuitive platform designed to maximize the online gambling experience. 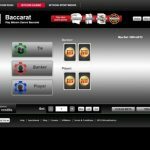 BitcoinRush.io may sound new to the ears, but this Bitcoin gambling site has been in the market for quite a while already. Packed with online casino games and sporting events, it is easily one of the go-to websites today. This website was founded in 2013. Called CasinoBitco.in then, BitcoinRush.io made a major overhaul after acquiring PeerBet.org in February 2014. With a well-structured gambling platform, it is more than ready to welcome players from across the world to experience one-of-a-kind Bitcoin gambling. 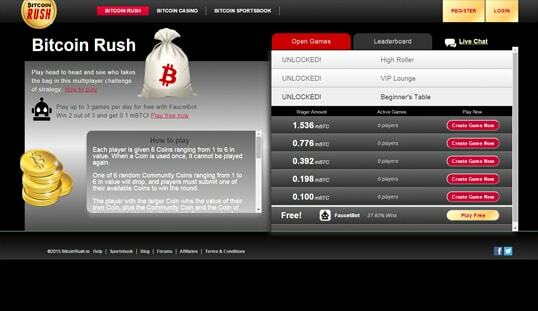 BitcoinRush.io has a decent set of Bitcoin casino games, particularly Bitcoin blackjack, roulette, baccarat, video poker, and Bitcoin hi-lo. 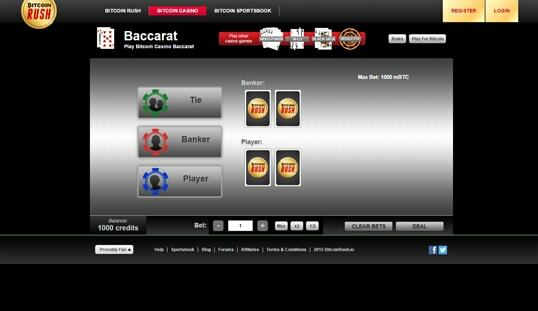 Although it is not as impressive as the others, this Bitcoin casino has made sure that all of its games are functioning fluidly. Moreover, it is not limited to casino games. If you are more into sports betting, this Bitcoin casino offers a notable list of sporting events you can bet on. In fact, you can even wager on major sporting events like the NFL, NBA, NHL, college football, college basketball, soccer, tennis, and baseball. Stepping up to its game, BitcoinRush.io offers an exclusive game that is solely produced for this platform alone. Also called BitcoinRush.io, this exclusive Bitcoin gambling game requires strategy and wits in order to claim the big win. The BitcoinRush.io game shares similarities with the famous game blackjack, only that this game uses coin value instead of cards. The player whose coins are equivalent to 32 points wins the game. This Bitcoin game exclusive is a multiplayer game, therefore it makes betting more thrilling and fun. BitcoinRush.io may be powered by a proprietary provider but it is enough to provide more than decent gambling. 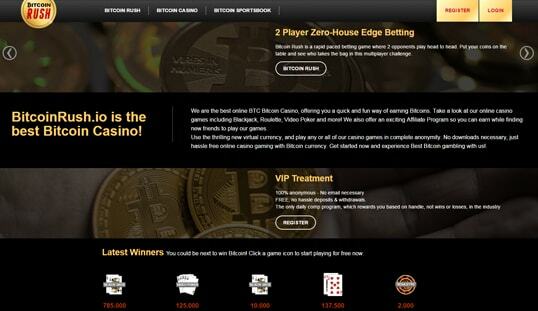 The BitcoinRush.io website is a balance of sophistication and Bitcoin casino fanciness. Fans of minimalistic designs are certain to be enthralled with the visuals of this platform. There is no need to download software to play the games, and this makes it all the more appealing. Since BitcoinRush.io operates mainly because of Bitcoin, the registration process can be accomplished in a breeze. To create an account, users just have to provide a unique username, password, and enter the random captcha provided by the website. Providing an email address is not necessary, though it is recommended for account retrieval purposes. Bitcoin deposits are converted to the site’s own game credits. For every 1 BTC deposited, players will receive 1,000 credits on their account. This process is instant, and so is cashing out. However, do note that some withdrawals may take up to 24 hours, and this is solely dependent on the size of the requested cashout. For technical issues or concerns, BitcoinRush.io has its email support department open around the clock in order to answer to all your queries. All issues and questions are given answers within 24 hours, making BitcoinRush.io one of the finest platforms when it comes to email support.